Rock Steady Boxing South Shore is a physical therapy based non- contact, intense boxing fitness program designed to improve function, quality of life, strength, flexibility, and balance for people with Parkinson’s Disease. Rock Steady Boxing is the only medically and clinically proven exercise program to reduce, reverse, and delay the symptoms of Parkinson’s Disease. Come find out what it means to Fight Back against PD! A traditional vinyasa flow class- all levels welcome! New to yoga? No problem! A traditional vinyasa flow class utilizing modifications including a chair, if desired, for those living with Movement Disorders. This class will place particular emphasis on balance, core strength, and bilateral movements. A traditional vinyasa flow class for fully-abled children as well as for children with a physical or developmental disability. With roots in traditional Chinese medicine, Tai Chi is a therapeutic mind-body exercise that integrates gentle movements, rhythmic breathing, and imagery. Tai Chi and Qigong are practiced to improve strength, balance, flexibility, mental focus, and emotional tranquility. This class is open to everyone including those with a Movement Disorder or other disability. New research suggests Tai Chi may have important benefits for individuals with Parkinson’s Disease. Cycling on stationary bikes may provide symptomatic relief for people with Parkinson’s disease, especially if they cycle using what’s described as Forced Exercise, i.e. pedaling at a rate faster than their voluntary cadence. This was the finding of a study at a scientific meeting in the US in 2012. Researchers found cycling, especially at rates above what patients would choose for themselves, appeared to make regions of the brain that deal with movement connect to each other more effectively. Looking for a program that increases confidence, self-esteem, and a great working knowledge of boxing for your kids? Our youth boxing program offers instruction in the art of boxing, agility drills, endurance training using all the equipment of a professional boxer. Classes include wrapping techniques, heavy bag skills, speed bag drills, basic punching and ring work, focus mitt work, and a whole lot of fun! Ages 8-14. Creating an inclusive environment is the focus of 110 Fitness. Be a part of the first adaptive boxing program in the country! Adaptive Boxing accepts all disabilities and creates modifications so that each boxer can participate at their best level and focuses on ability over disability. Adaptive Boxing offers instruction in the art of boxing, agility drills, endurance training using all the equipment of a professional boxer. Classes include wrapping techniques, heavy bag skills, speed bag drills, basic punching and ring work, focus mitt work, in a supportive atmosphere without judgment, and a whole lot of fun! Individualized training programs based on member’s’ goals and needs. 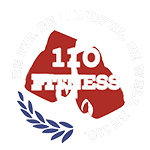 110 Fitness offers the highest level of personal trainers in the industry to assure maximum potential without injury. The U.S. Olympic committee as defined that the best conditioned athletes in the world are boxers. One on one high-intensity training with a complete focus on the technical skills and boxing drills utilized by world-champion boxers. Training to include agility skills, punching drills, mitt work, heavy bag drills in and out of the boxing ring. Our philosophy here at 110 Fitness is finding a balance between your physical, mental, and spiritual health. It is well documented that having a strong self-awareness and being present in the moment can completely change your overall performance in all aspects of your life. Our Mindfulness coaches will guide you through body scans and mindful journeys that will help you achieve your goals in and out of 110 Fitness. Like no other, 110 Fitness’s high-intensity interval training boxing program designed to bring your fitness journey to an entirely different level. You will learn to train like a fighter with all the boxing equipment of world-professional boxers while achieving the highest level of conditioning, agility, and confidence. Cardio Kickboxing is a group fitness class that combines martial arts techniques with fast-paced cardio. An experienced instructor leads cardio kickboxing class by demonstrating choreographed movements of punches, kicks, and knee strikes set to fast-paced music. Build stamina, improve coordination and flexibility, and burn calories as you build lean muscle with this fun and challenging workout. Speedball is a nonstop conditioning class using a medicine ball. Designed to focus on core exercises, balancing mobility, coordination, overall strength and stability. We also blend in plyometric movements to increase the intensity and overall workout. This class will leave you wanting to come back over and over! 110 Fitness creates a safe and welcoming space for all people looking to overcome obstacles in life that have left them feeling insecure and powerless. 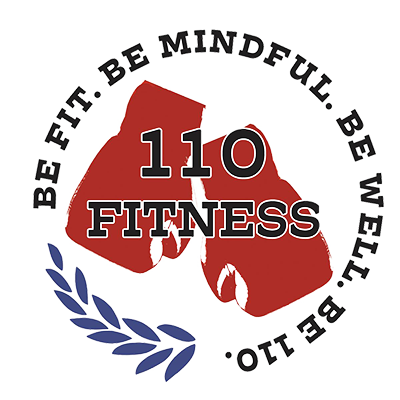 By partnering with local community programs, 110 Fitness will use the power of boxing fitness and community to create a positive environment in which our boxers can feel recharged and empowered in order to move forward in their life’s journey.